Last year, I went to a wedding that just didn’t go as planned. It was horrible, in my opinion. The day started off great. Although, it was hot and there was a lot of sweating going on, it was nice before the wedding had started. We all went outside to take pictures before we had to be at the hall. Now, she didn’t get married in a church, she got married at the reception hall. So, when we got there, everyone was arriving and taking their seats outside, that, by the way, was set up very beautiful. All of a sudden, it starts to down poor and everyone rushes in. The crew working there that day had to move all the dining tables to one side of the room and set up chairs on the other side to be able to watch the ceremony – which made everything run even later than planned. It was also unbelievably crowded. I was standing in the back and couldn’t see anything. When the ceremony was over, we had to wait for the crew, once more, to move everything around. By the time we finally got to sit down and eat our meal, we were all very hungry. The food was horrible. I don’t even know what to call it. We were being served horrible food, with horrible service, by the way, and couldn’t move around anywhere because it was so crowded. 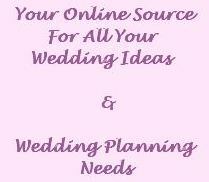 My opinion is directed at wedding planners – or those choosing to plan their wedding without the benefit of a trained professional. Even though it may be cheaper, please don’t skimp on the reception area. If you have a lot of people, make sure to get a big hall and not something that is just "cheap". Ask if you can taste the food there before picking that place. A wedding is something that is going to be remembered and talked about for a long time. If you want to have an outdoor wedding, make sure you have an alternative if the weather does not go your way. You will need a place that’s already set up if it rains or to rent a tent just in case. It is supposed to be the happiest day of your lives. Spend that extra dollar and make it the way you always dreamed.